Psst: When you buy one pack of Brit + Co x Cheeky, Cheeky gives one meal to someone here in the US through its partnership with Feeding America. Cheeky products are available at Target stores nationwide, plus Target.com for a limited time. Cut out the center circle of the plate. Then, cut a slit to the center of the circle and shape into a cone. Use hot glue to hold in place. 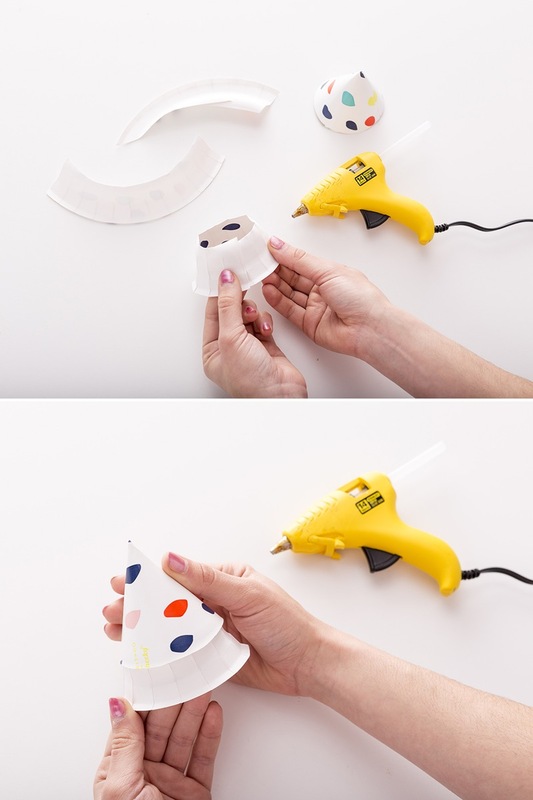 Using the brim of the plate, create a cylinder and hot glue to the bottom edge of the cone. 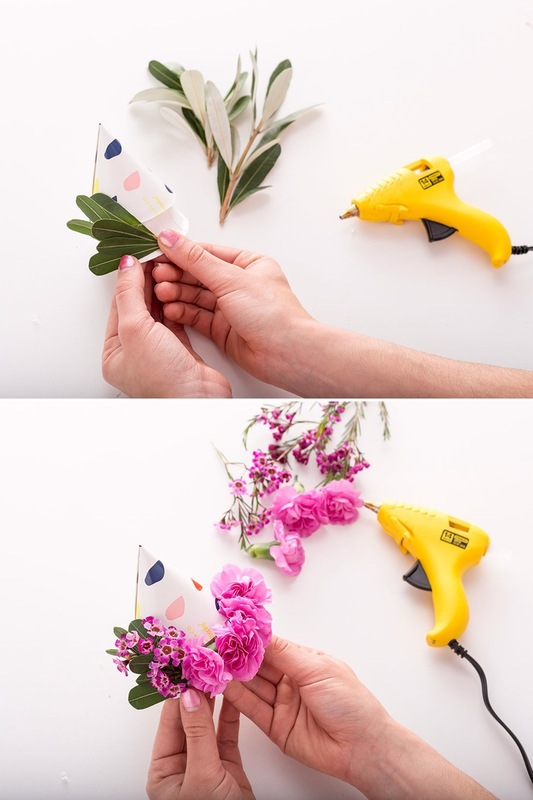 Hot glue your favorite flowers to the the brim of the hat. Cut holes on the sides and tie in the elastic cord for the strap of the hat. 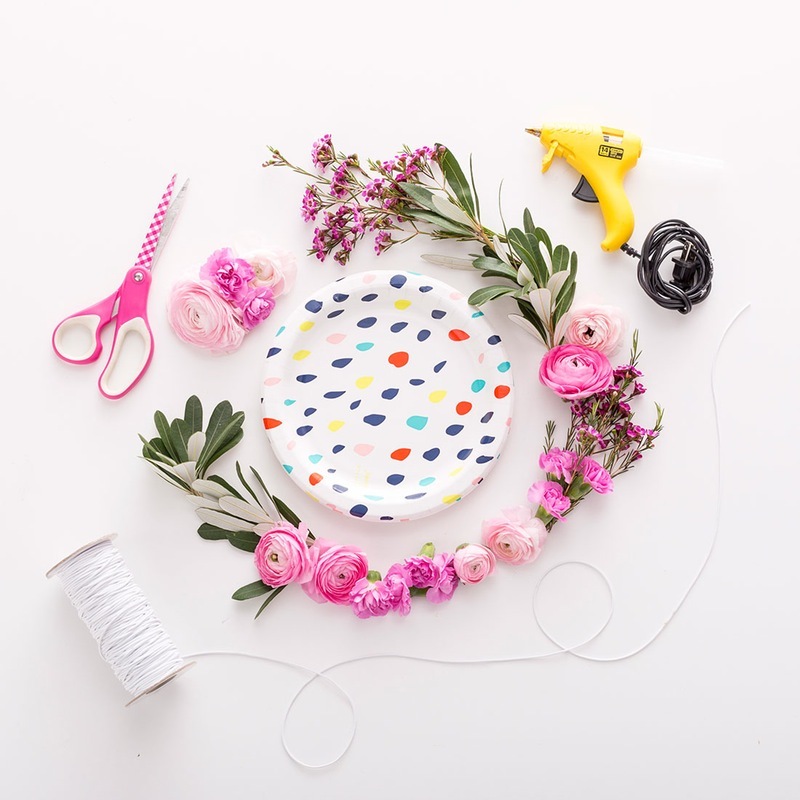 Trim the center circle away from the brim of the paper plate. Cut a slit to the center of the circle and then form into a cylinder. Use hot glue to hold in place. Use the brim of the plate to create a cylinder that is the circumference of the bottom of the hat. Hot glue in place. Time to decorate! 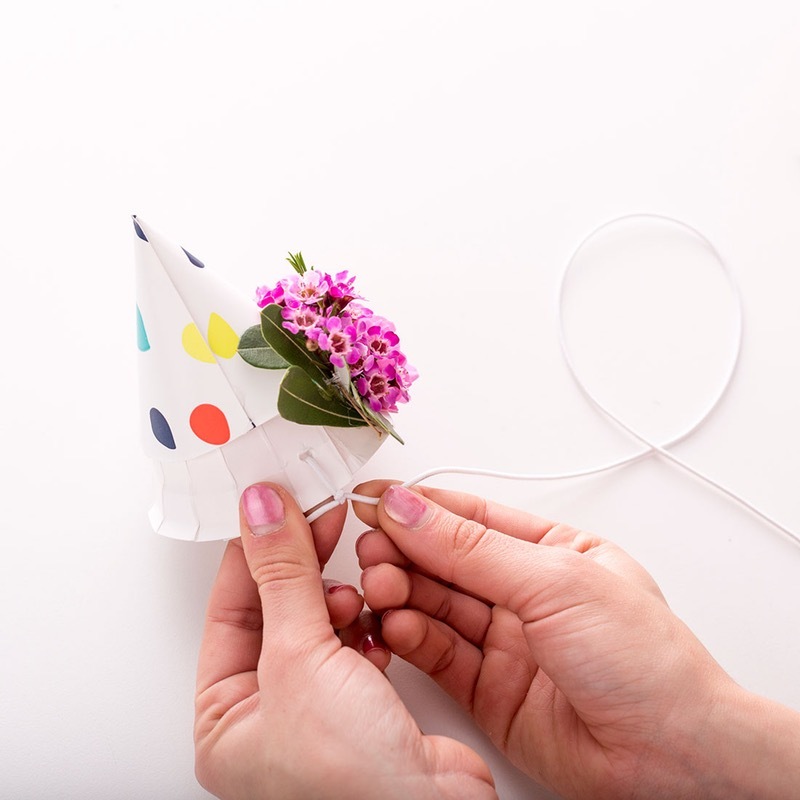 Grab your real or fake flowers and hot glue onto the bottom brim of your party hat. 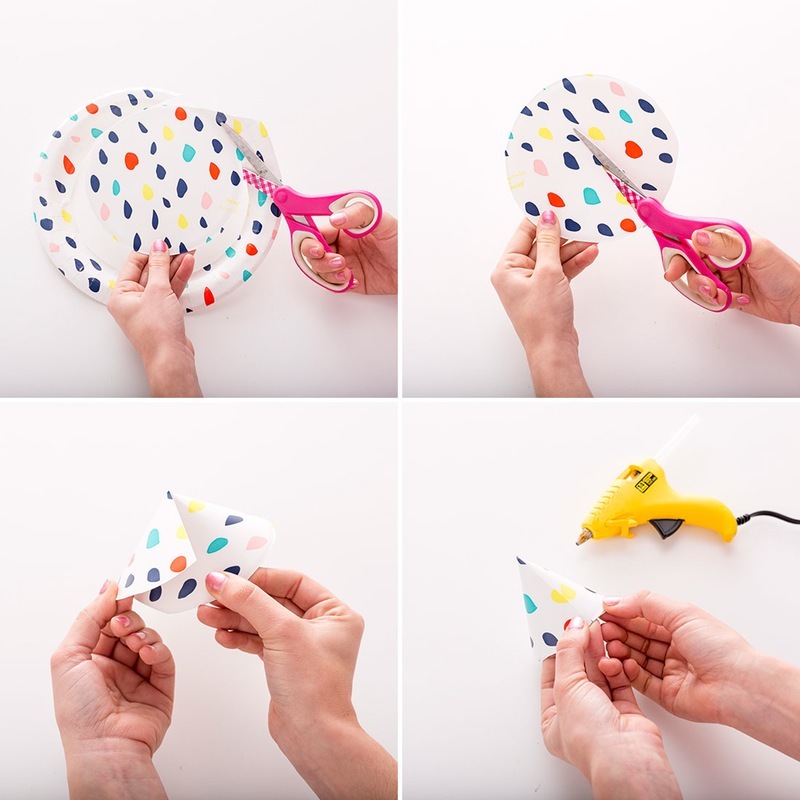 Cut a small hole on either sides of the party hat and attach an elastic cord strap. Continue adding flowers to the brim of the hat. Fun fact: Fellow DIYer Irene and I share the same birthday, March 2 (which is coming up, so don’t forget to send us a gift)! We were born in the same year and, you’ll never believe it, even around the same time of day! 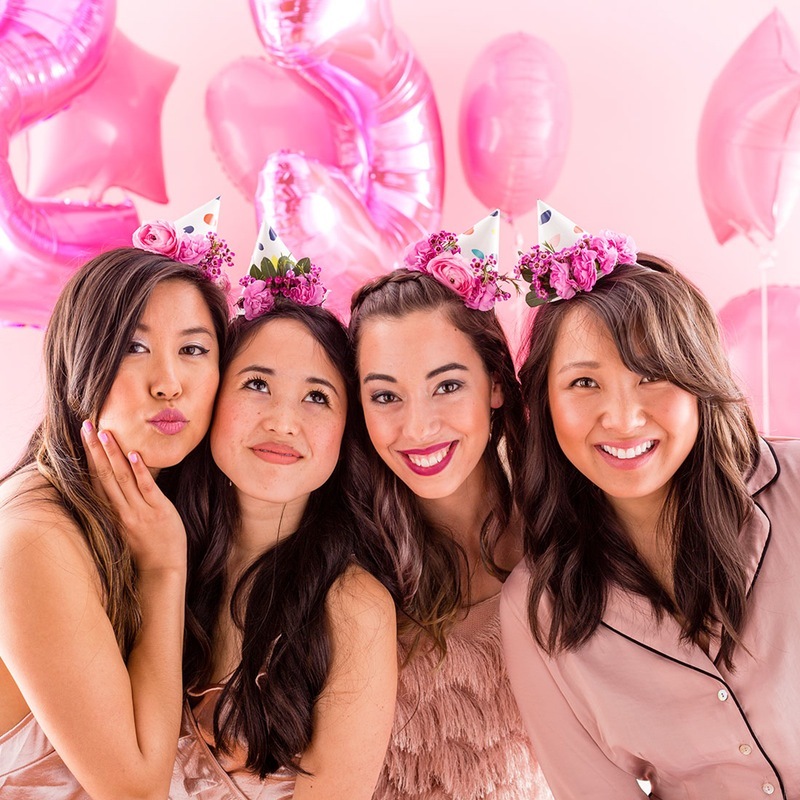 This year we will both be 25, so we created a pink party to get our birthday celebration started. One party must is having all your friends dress up in theme. 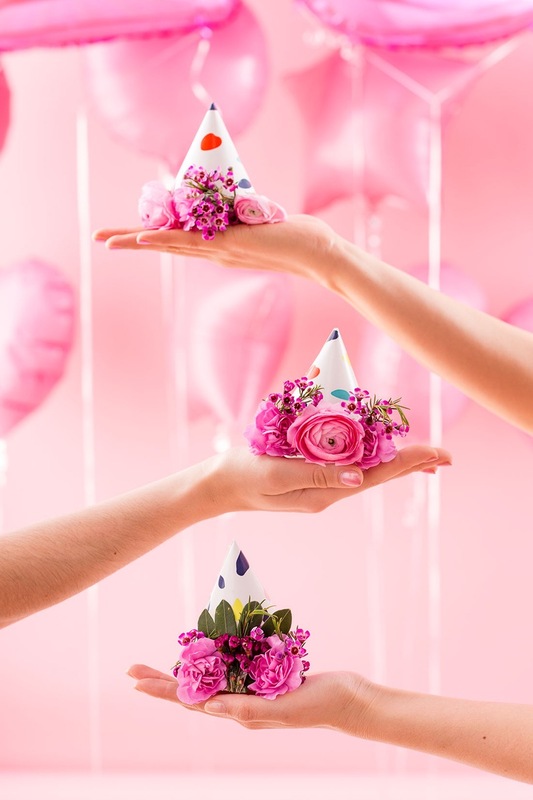 For our party, this meant dressing up in our favorite new color, power pink. 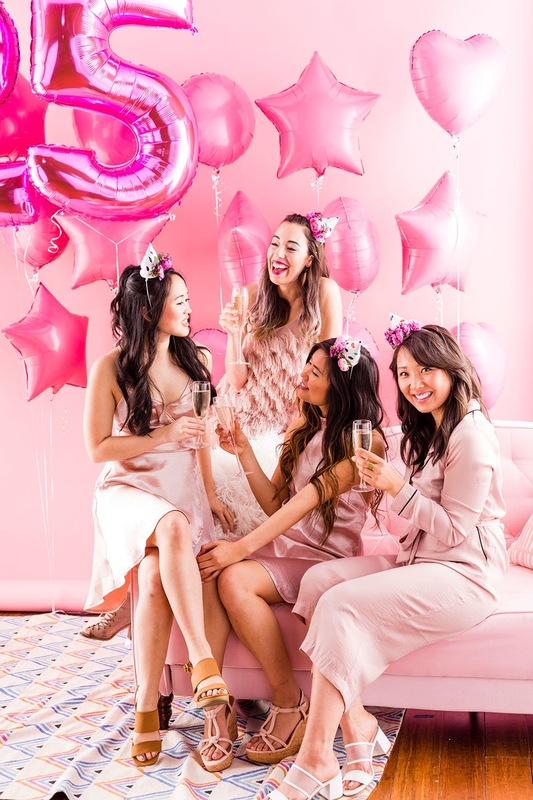 We got all of these outfits from Forever 21! 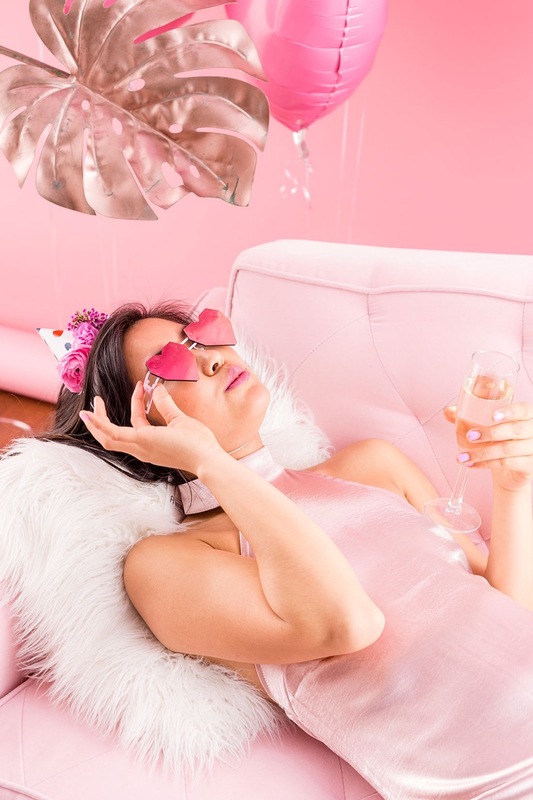 After your nap, try blending in with your party decor. Update on hide ‘n’ go seek, anyone?? Thanks for virtually attending our birthday party. We love you all!